1. any design: It can make any frame and album cover at any size and of free design. And the frame company can use it for the edge of frame easily. 2. good quality: the finished product is high glossy without any bubble or lines. 3. Manual saving: there is no need for manual glue adjusting, coating, no need to use the fire gun to get rid of the bubbles. The worker can make sure the frame in the right place only, then the procuct will be of no bubbles, no edge liquid flowing. 4.fast speed: the production ability can be 8--10sqm/hour, and can be circle production all day and night, at the same time, the quality can be ensured. 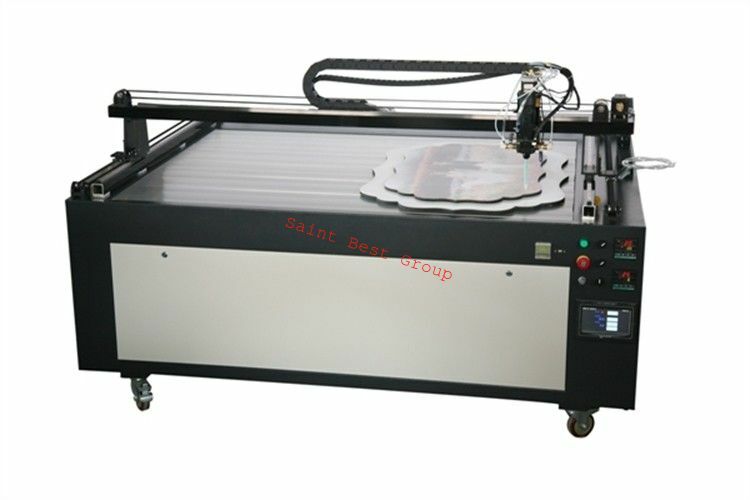 5. cost saving: For the complecated shaped design, the machine can also control the gluing quantity to be without any waste.